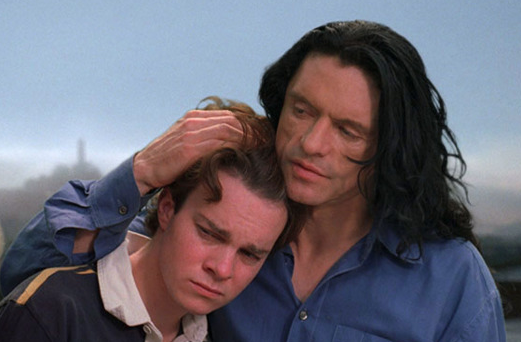 I must admit, I came in late into the film fanatic party that is “The Room.” I never got a chance to watch the midnight madness screenings, partially due to the fact that I got too old too fast, and also because none of my friends are crazy enough to join me. My first watch of this was alone, at home, on DVD, and it was brilliant. I’ve since rewatched it a number of times, and I fall in love a bit more with each viewing. It’s impossible to explain why. Of all the horrible movies I have seen, this is the one with the most soul. It is an experience that cannot be sufficiently expressed in words. Needless to say, there definitely is something about it. It has created a cult following unrivaled by any other cult followings. Watching it in a theater is a special treat. For a decade and a half, fans have created an interactive experience unlike any other. Do yourself a favor and attend one of these. It’s an art in and of itself. All joking aside, if nothing else, this is MUST SEE preparation for the upcoming film, “The Disaster Artist,” which is James Franco’s take on the film, how it was made, and the people who put their love into their work. I will follow up with you all very soon with my Review for the Disaster Artist. Until then, YOU ARE TEARING ME APART!!! This entry was posted on Thursday, November 16th, 2017 at 11:49 am	and is filed under Film, News. You can follow any responses to this entry through the RSS 2.0 feed. You can skip to the end and leave a response. Pinging is currently not allowed. « Media-Ocrity Podcast #62 – Star Wars Battlefront II, Three Amigos, Lord of the Rings!